My Weight Watcher leader, Jane Brown, has a great way to describe what just happened to me: I was prepared for the dragon that I had to fight with all the travel and the training and the vacationing. But then I came home and collapsed and the dragon’s tail got me. Yup. Home and getting back into my routine, but three weeks of making good choices and this weekend I went off the rails big time. Ate fried ham and hashbrowns. Ate barbecue and french fries. Drank a lot of wine. The wine is probably the scariest, since I am for damnsure not going to follow the path that leads to: transference of addictions. So, yay! I’ve identified another land mine and I can safely remove it from my perimeter. Also a yay! I walked almost 7 miles yesterday in under 2 hours. I think that is my best time yet. And I didn’t feel destroyed when I got home, so good progress. Next weekend I need to go for 8 miles so I can keep up with my half marathon training plan for Walk the Walk in May. I’m not making it to kickboxing class, though. I guess I just feel really worn down and walking is all I want to do. And I’ve kind of sabotaged myself by setting up early meetings all week to work with my offshore team. Hmm. 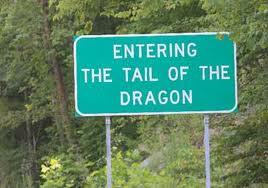 Maybe another dragon’s tail? I’m finishing up my morning tea and my pumpkin spiced peanut butter oatmeal now. As soon as I’m done I’m going to hop on the treadmill and finish my movie and get in a few miles before I head for work. This entry was posted in 2. Exercise, 3. Nutrition, 5. Struggles. Bookmark the permalink.